The country is abuzz with activity that Narendra Modi is going to be the next Prime minister and the Indian market is trading with an upward bias and formed Nifty 6000 mark as a deep support. We have analysed that the sector which is going to be most favoured in the bullish market is banking sector as this is the sector which is going to be most beaten down sector in times of crisis as money uptake from the market reduces in sluggish economy. Two stocks from banking sector which will do well with the arrival of Narendra Modi as a PM or in a bullish environment in India are Axis bank and ICICI bank. 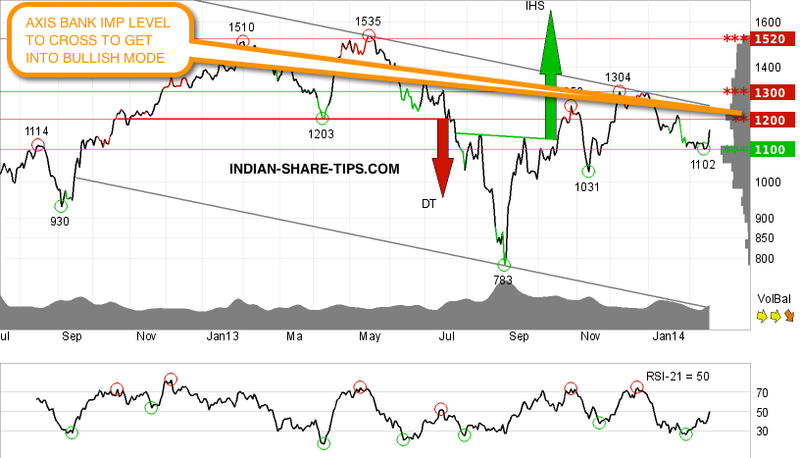 However remember that this bullishness prevails only till Nifty 6000 mark is not broken. So far so good; if looking to trade daily and want to make money like professional then you can not afford to miss daily intraday stock which finish in 2 hours by 11:30 AM. Axis bank is moving between support of 1100 mark and a resistance of 1200 mark and any cross of 1200 mark with volume means that stock is in a bullish zone and one can enter in the stock to be on the long side with SL as 1200. 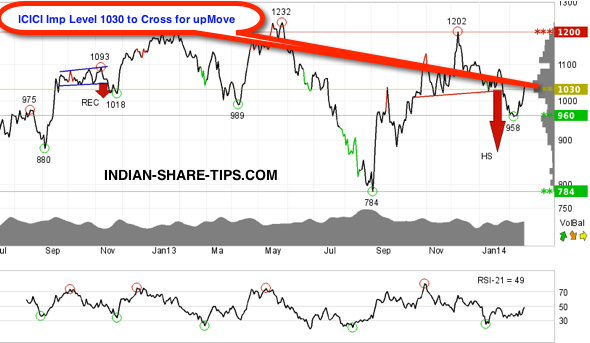 A detailed analysis for Axis Bank Technical View can be read here. ICICI bank is technically slightly positive due to RSI divergence against the price in a positive way, which indicates a possibility for a reaction up and this run up will occur once it crosses 1030 mark with volume and one must exit if it break 1000 level.